Most weekends in the summer I try to get out of Manhattan and head to the beach in Jersey. I’ve already made it down a couple of times, but the weather has unfortunately not been on my side. This weekend they are projecting blue sky in the mid 80s and at 3pm today I will leaving the office, heading to Penn Station and getting on the train with a group of friends to head down to the beach! So, in the spirit of the long 4th of July weekend I decided it would be the perfect time for some Red, White and Blue Cupcakes. I had to incorporate some chocolate in there somewhere, so I created chocolate cupcakes with cream cheese frosting and decorated them with strawberries and blue berries. In a large bowl cream together the butter and sugar until it is light and fluffy. Then beat in the eggs and vanilla until fully combined. 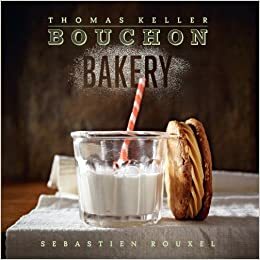 In a separate bowl, mix together the flour, cocoa, baking soda and salt until combined. 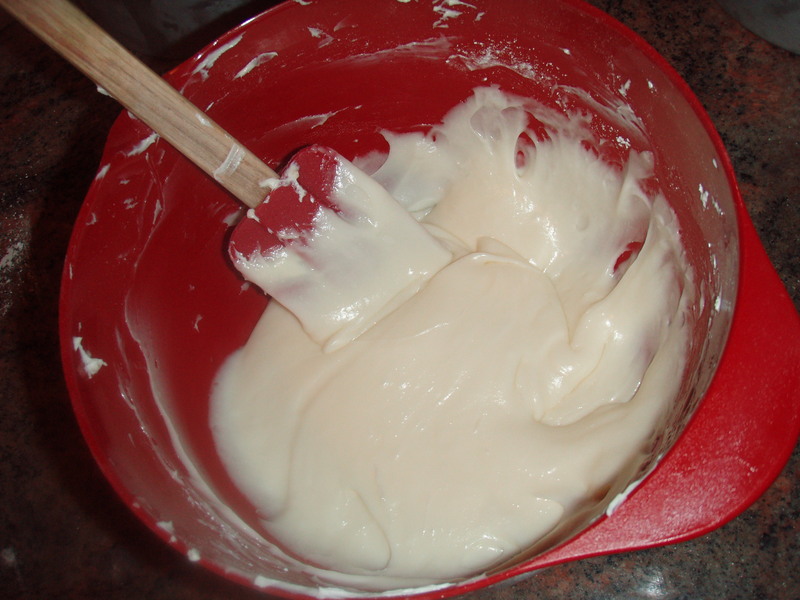 Gradually add the flour mixture to the creamed mixture alternating between water and buttermilk. Make sure to beat well after each addition. Fill the paper liners 2/3 of the way up with the cupcake mixture. I’ve always found it easiest to fill the cupcakes with an ice cream scoop so that each cup as the same about of mixture in it. 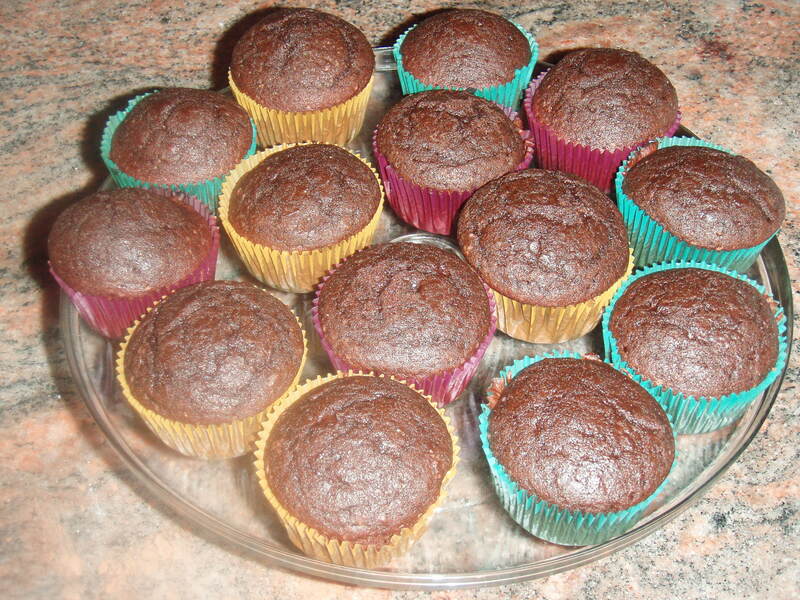 Bake the cupcakes for about 12 – 15 minutes or until a toothpick placed in the middle comes out clean. Once removed from the oven, let them cool for 10 minutes. In the meantime, while the cupcakes are cooling, we can prepare the cream cheese frosting. To make the frosting, we will cream together the butter, cream cheese and sugar. Place 1 tablespoon sized pieces of butter in the bowl with a mixer and add in tablespoon sized pieces of cream cheese. Cream together on medium speed until combined. Add in the vanilla extract and continue creaming for another 1 – 2 minutes. 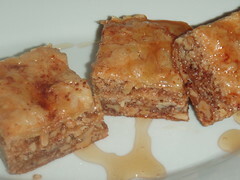 Gradually add in the confectioners’ sugar about a half a cup at a time. Beat for about 1 minute between each addition. Once all the sugar has been added, beat until smooth. 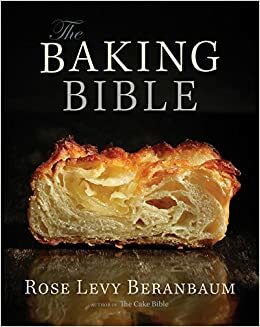 If you’re finding that the frosting is a bit too thin, add a little more confectioners’ sugar and if you’re finding it too stiff, add a tablespoon of butter at a time until you reach the consistency you desire. Scoop the frosting into a pastry bag. Once the cupcakes are cooled completely, its time for the frosting! When it comes to decorating I bought fresh strawberries and blueberries to keep with the festive 4th of July, Red White and Blue theme. 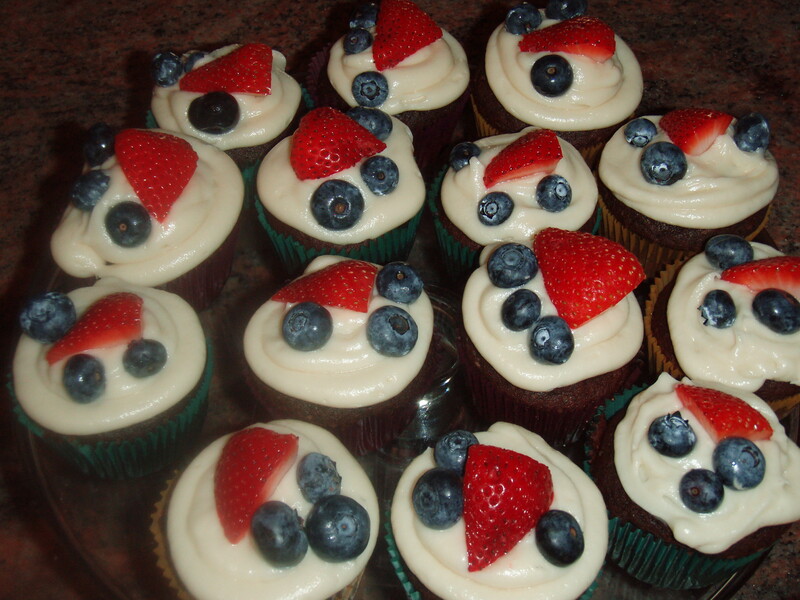 Cut the strawberries into quarters and place a piece on each cupcake and place a couple of blueberries on each one too.